Jarls, an exciting new age is upon us. For decades, the Hero has led your armies into battle, being the sole figure and guiding hand controlling your elite fighting forces. Battling back hostile invaders and would-be conquerors, the Hero has faced it all and then some. Alas, this has been an arduous task, and a heavy load for them to bear, but fortunately for our brave Heroes, they are about to receive some much-needed aid. 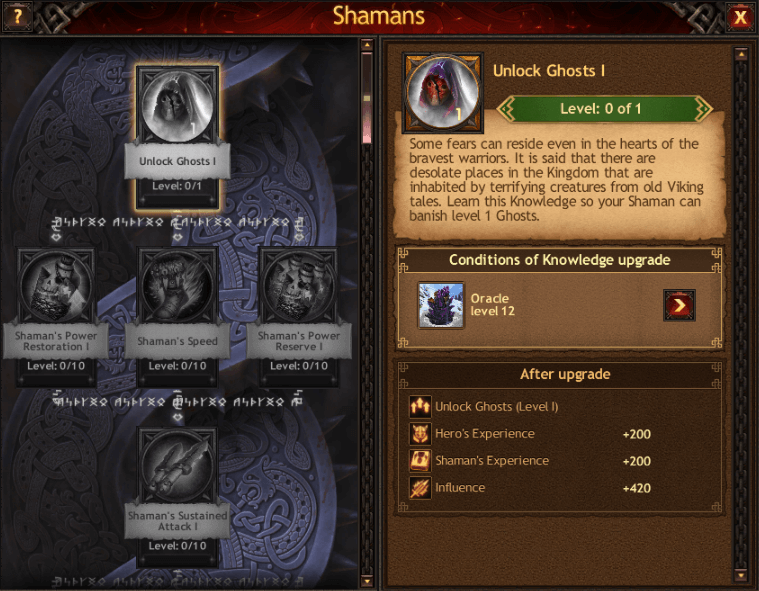 Enter the Shaman, the newest addition to the "Hero" class, but one that is so much more. The reasoning why this is so exciting and powerful is the fact that the Shaman will not simply replace your Hero in battle, but fight alongside them, granting you an additional general in your armies. With the addition of the Shaman come new discoveries of power, ones that will enhance this new Hero's abilities and thus your influence and power for decades to come. This announcement, along with many others that were rolled out alongside it, was announced by none other than Ivar Marksman, one of our greatest Heroes, on our public forums for all to hear. 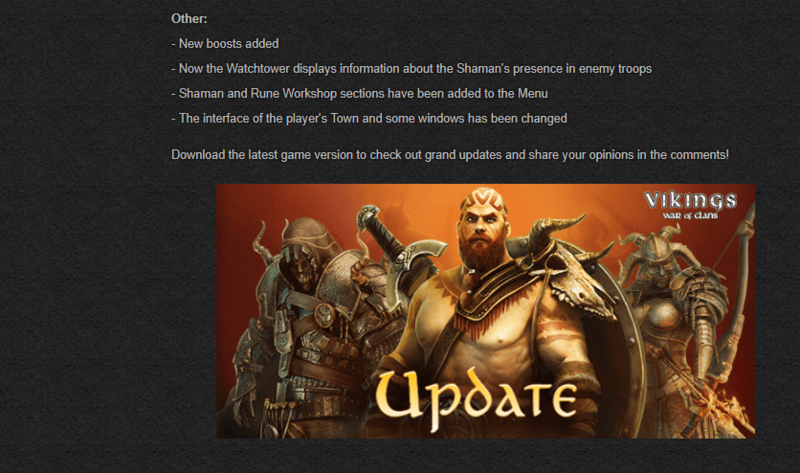 As can be seen from the above announcement, this is a monumental update and consists of much, much more than simply the Shaman addition. The rest of the changes are destined for another edition of the Chronicle because covering everything today would simply be too much. 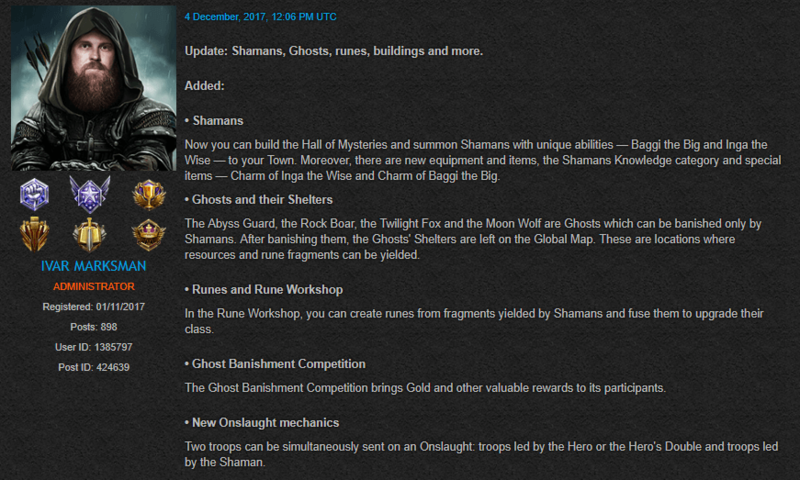 Returning our focus to the Shaman, we can see that two new buildings have been added to our towns, the "Hall of Mysteries" and the Rune Workshop. Both of these new buildings can be constructed on the two new, vacant spots located in front of your Palace, and can be built once a Jarl has obtained a level 12 Palace. The Hall of Mysteries, similar to your previous Hero’s Abode, is the location where you will find your Shaman and is their place of residence. You will be able to unlock their abilities and bonuses within this new building. 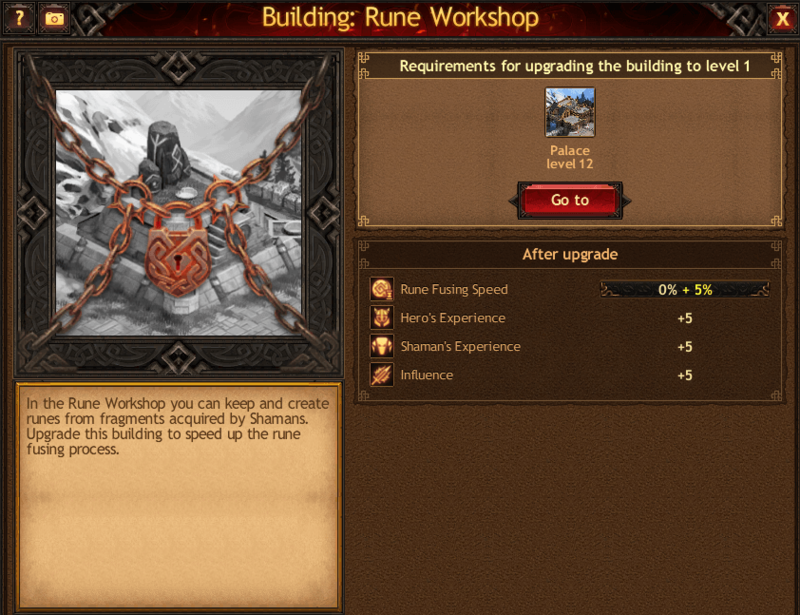 The Rune Workshop is the location where powerful runes will be crafted from gathered fragments. Runes are powerful artifacts that will unlock game-changing bonuses and benefits. 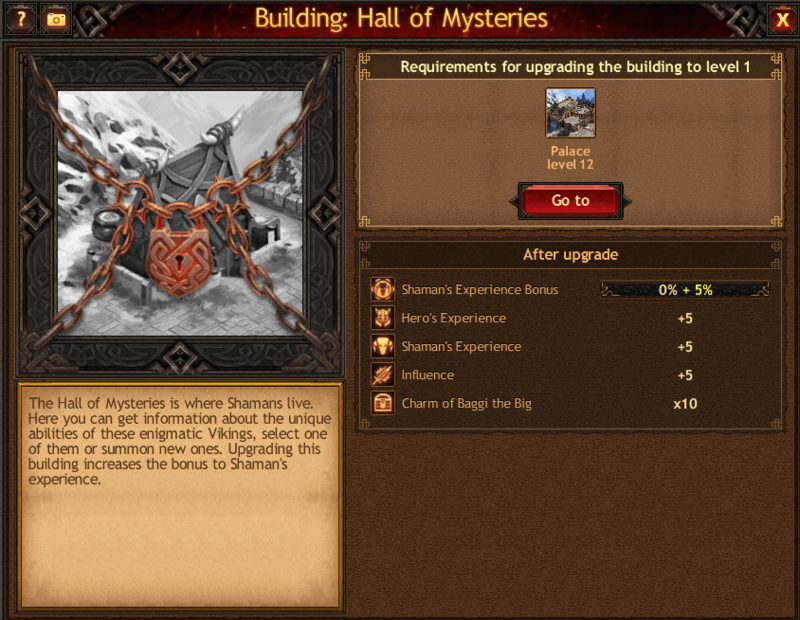 Finally, in addition to these two new buildings that will greatly benefit the abilities of your Shaman, a new Shaman Hero skill branch has been created, enabling Jarls to unlock unique powers that only your Shaman can wield. Alas, not all is positive news that should be rejoiced. Along with these new Heroes come new threats to the lands as well. Unlocking the Shaman's power has unleashed a new set of Invaders that are pillaging the countryside, laying waste and destruction to our lands. These new invaders can only be conquered by the powers of the Shaman, and thus you must act swiftly in upgrading your new Hero. Not only protect your lands but also to gain access to the vast riches these new Invaders carry with them—riches that can be obtained only by defeating them. Exciting times abound, but great dangers persist. Hopefully, with the aid of the Shaman, the newest addition to Vikings: War of Clans, you will not only conquer these threats but thrive and prosper in these turbulent times. Good luck brave Jarls and may Odin bless you. YOU ARE A VIKING!YOU ARE THE HERO!